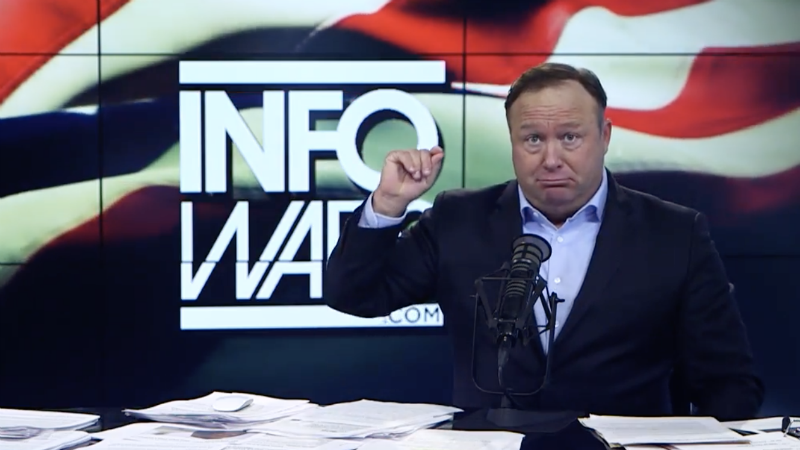 Alex Jones and his preposterous Infowars media platform were served yet another lawsuit on Monday. The New York Times reported on Tuesday that 24-year-old Massachusetts resident Marcel Fontaine filed a defamation lawsuit against Infowars, one of the company’s reporters, and human gaslight Alex Jones, alleging one of the platform’s stories falsely identified him as the Marjory Stoneman Douglas High School shooter, as a consequence of which a photograph of him circulated the internet in association with a heinous crime he had no connection to. The lawsuit asks for more than $1 million in damages. Very soon after a gunman entered the Parkland, Florida school, an Infowars post boasted of having obtained a photograph of the suspect, outfitted in “communist garb.” The photograph was, of course, not of the assailant, but of Fontaine, dressed in a red shirt printed with the images of Joseph Stalin, Vladimir Lenin, and Karl Marx. The Guardian reported on Tuesday that this image was most likely first published on 4chan. The photograph was posted to Infowars for at least five hours before it was taken down. On February 14, the same day of the shooting—which ultimately claimed 17 lives—Nikolas Cruz was arrested and later confessed to the crime.